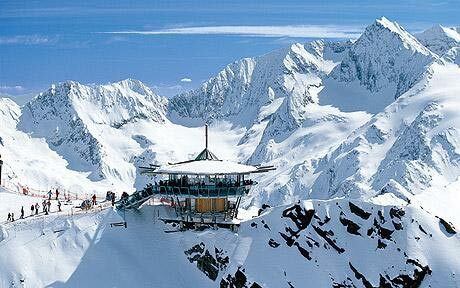 Unforeseen expenses beyond our control such as natural calamity / landslide/ snow fall / Strike / Hike in Tax Structure / Hotel / transport rates Govt. 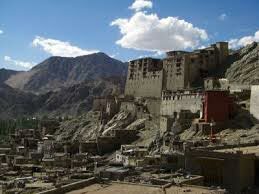 Arrival Leh in the morning Our representative will meet, greet, assist and transfer you to Hotel in Leh. Full day of rest for acclimatization to the high altitude of Leh (11,500 ft / 3500 mtrs). Overnight at hotel in Leh. 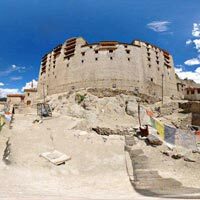 After leisurely breakfast visit Shey Palace, Thicksey Monastery & Stok Palace Museum. 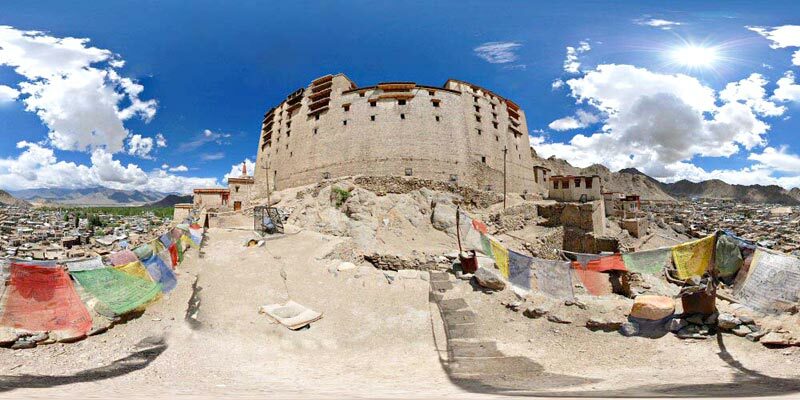 Post lunch drive to visit Hall of Fame, Kali Mata (Temple of Guardians in Spituk monastery), Gurudwara Pathar Sahib, Magnetic Point and Sangam (confluence of Indus & Zanskar rivers). Arrive hotel in Leh for dinner and overnight. After leisurely breakfast full day excursion to Pangong Lake (approx. 300 kms round trip, located on the Indo-China Border), enroute crossing the Chang-la pass (alt: 17370 ft.). After sightseeing around the lake, drive back to Leh reaching in the late afternoon / evening. Arrive hotel in Leh for dinner and overnight. After leisurely breakfast in morning excursion to Khardung-La (80 kms round trip / alt: 18,380 ft.), highest Motorable pass in the world and recorded in the Guinness Book of World Records . 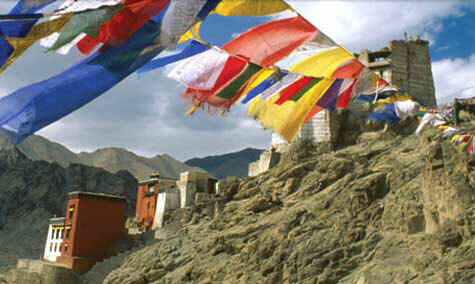 In the afternoon visit Shanti Stupa & explore local market. Arrive hotel in Leh for dinner and overnight. 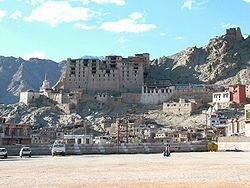 Leave on time for Leh airport to board your flight back home. Maximum 6 - 7 clients can be accommodated in one Qualis / Tavera / Scorpio or Innova and Xylo. 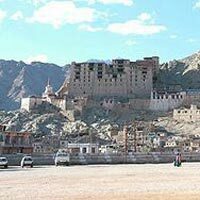 More than 7 clients may need a tempo traveller or Maxi cab which are 10 - 12 seater in LadakhXylo and Innova may have a supplement cost if required Car is not at disposal in Ladakh and point to point basis. After completion of the services car will get terminated. The following points are to be noted for Child Rate ::1. Child above 12 years will be considered as an adult.2. Children 5 - 11 Years sharing parent’s room will be charged either with bed or without bed 3. Children below 5 years Complimentary. (Hotels are very strict with the child policy. Please carry the age proof so that it can be produced when asked). Destinations Covered : Srinagar, Leh Ladakh, Kargil, Anantnag, ..
Kullu - Manali - Leh - Ladakh - Kargil - S.. 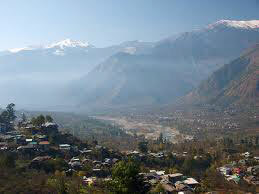 Destinations Covered : Kullu, Manali, Srinagar, Leh Ladakh, Kar..